The scene of this crime was the northeastern corner of North America, what is now the Canadian provinces of Nova Scotia, New Brunswick and Prince Edward Island. The victims were the descendants of the region’s French settlers, who called themselves Acadians and their homeland Acadie. They were proud, stubborn and self-reliant, their communities tight-knit through bonds of family and marriage …. Geography and history conspired to trap the Acadians in the crossfire as France and Britain fought for supremacy over North America. Time and again Acadie changed hands, finally falling under British rule in 1710. By 1755, with France and Britain on the verge of fighting yet another war, acting governor Charles Lawrence demanded that the Acadians swear allegiance to the British. He would accept nothing less than complete loyalty. When the Acadians asked to be considered neutrals, to be exempted from fighting their old masters to defend their new ones, Lawrence had the pretext he needed to banish them from their homeland …. The deportation was a human catastrophe on a scale unprecedented in Canada and perhaps the darkest chapter in the nation’s history. It was calculated to destroy a people and wipe out a distinct culture, but it failed. The Acadians were too tough and too resilient. Their ordeal became the catalyst for a cultural revival and a resurgence of national pride. 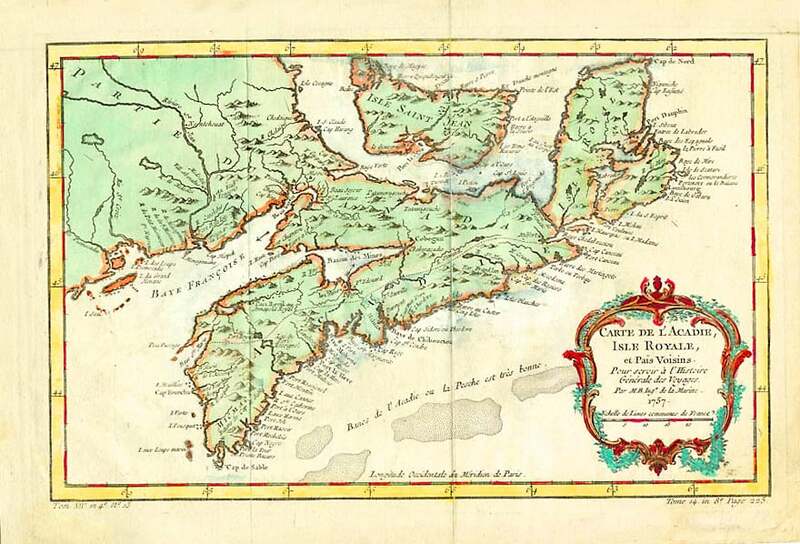 Today, there are an estimated three million Acadian descendants worldwide. Acadians who escaped deportation and those who returned established new communities in Atlantic Canada, where they now number close to 300,000. Thousands of deportees made their way to Louisiana, where the name Acadian was shortened to Cajun and the new surroundings forged a distinct new culture. More than a half-million Americans, most of them in Louisiana and eastern Texas, are descendants of these refugees. Read the Google Books excerpt. — The Daily Advertiser, Lafayette, La.